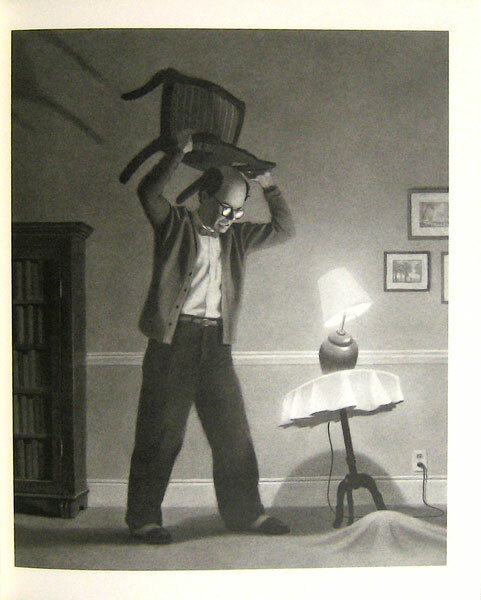 The Mysteries of Harris Burdick: Could you solve the mysteries of this dark picture book? I’m a big fan of Chris Van Allbsurg, he has written and illustrated many award winning picture books such as Jumanji and The Polar Express. His picture books are unusual in children’s literature as he seems to enjoy the darker side of human nature and his stories are laced with irony. 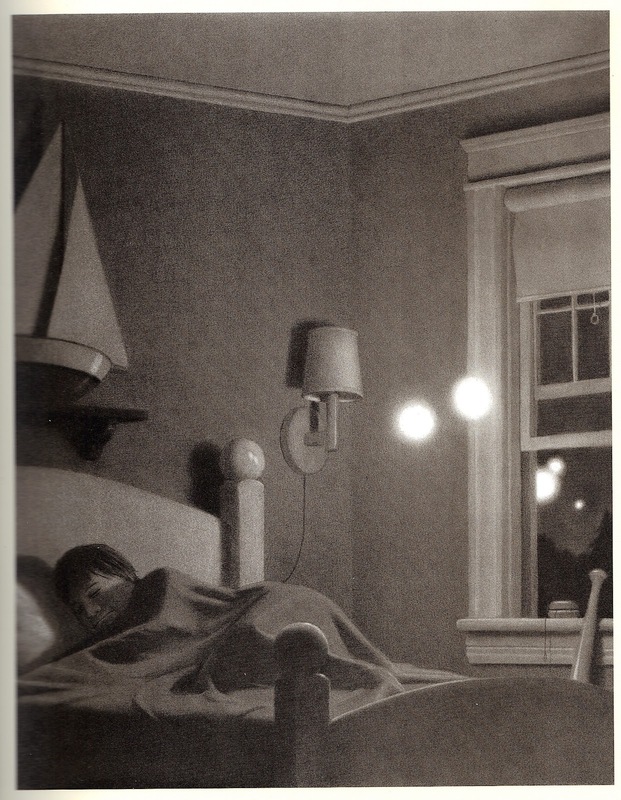 The Mysteries of Harris Burdick is an amazing picture book. It is unconventional. It is a series of 14 images with a single line on the accompanying page. Each of the images are dark, creepy and unsettling. This book is supposed to be a ‘recovered’ set of illustrations, there is a fantastic preface to the book explaining the background to these images, how they were found etc, this all adds to the mystery of the images. It is your job as the reader to ‘solve’ the mystery surrounding the book. 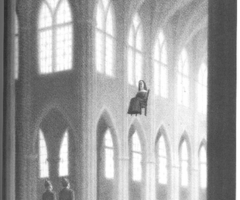 My favourite picture in the book is the one title ‘The Seven Chairs’ as seen below. Van Allsburg has a distinctive illustration style, this book is coloured in black and grey, he does this in his other books also. The illustrations have a hyper realism about them, they look so surreal and detailed that one has to check twice to see if the images are photographs or drawings. Harris Burdick is a fascinating read. It is unconventional due to the fact it is not a story, the images are not interconnected in any shape or form. The power of imagery is so strong in the book that it makes the ‘story’ work. Each picture looks like a scene out of a horror film, the pictures are dark and grainy. The detail in them is a thing to behold, it took me several reads of the book to interpret them properly. One a side note, I used this book with my class this year, they were 10-11 year olds and I asked them to write compositions based on the images and asked them to solve the mystery of the image. They loved the creepiness of the pictures. The responses I got were amazing and it underlined to me the power of the book to elicit such a response. Powerful images generated a thoughtful response, that’s what any good picture book should do.